The Irish Wildlife Trust and Waterford County Council co-sponsor two events this week. On Wednesday September 26 at 8.15 pm, the co-chairs of the of the Irish Ramsar Wetlands Committee, Olivia Crowe and Tadhg O’Mahony, will facilitate presentations by members of the Committee. 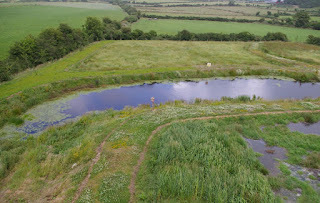 The event is entitled Saving our Wetlands – The Role of the Irish Ramsar Wetlands Committee. This talk will take place at the Edmund Rice Centre, Barrack St Waterford and starts at 8.15 pm. Admission free and all are welcome. The following day, Thursday September 27, there will be a conference entitled The Value Of Wetlands. The opening address wil be given by Eamon de Buitleir. Venue for this is the Education Centre Dunhill (Dunhill Enterprise Park near the GAA field). Registration takes place at 8.45 am and the conference begins at 9 am. Fee is €35/€25 concessions and lunch is included. Field trips to Fenor Bog and the Dunhill Wetlands included. All welcome to these major events in the story of Irish Wetlands.